Hire a Range Rover anywhere in the UK. > Range Rover Hire Company: Drive the Range Rover of your dreams. 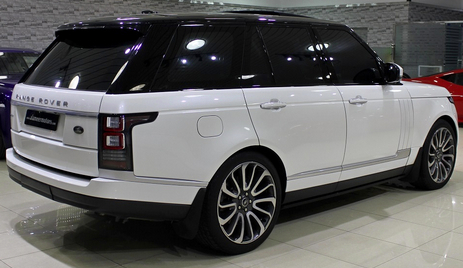 Welcome to the UK's largest selection of Range Rovers to hire. From the classic Landrover Discovery to the latest Range Rover Evoque's rolling off the production line at Banbury and Solihull, we have them all. Established in 2003 we are the ONLY specialist Range Rover Car Hire company in the UK. Why choose Range Rover Hire? Fabulous on-road ride and refinement for such a big car, together with immense capability in the mud. It is also truly luxurious and has a beautifully built cabin. True classic! Land Rover claims the new Range Rover is the “world’s most capable vehicle, with the greatest breadth of ability of any vehicle ever made”. We’d never subscribe to such a sweeping statement, but the claim is far from baseless.